Enjoy a stroll through winter woods this holiday season! The Winter Woods stamp set and coordinating In the Woods Framelits Dies will help you recreate snowy winter forest scenes. 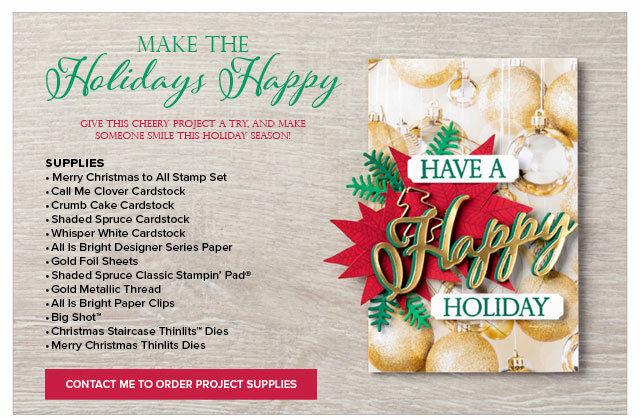 Projects using this bundle will be featured in my November newsletter which will hit e mail inboxes at 9:00 am (MST) on December 5, 2018. Get your own copy by adding your name to my mailing list by 8:00 am (MST) on December 5. 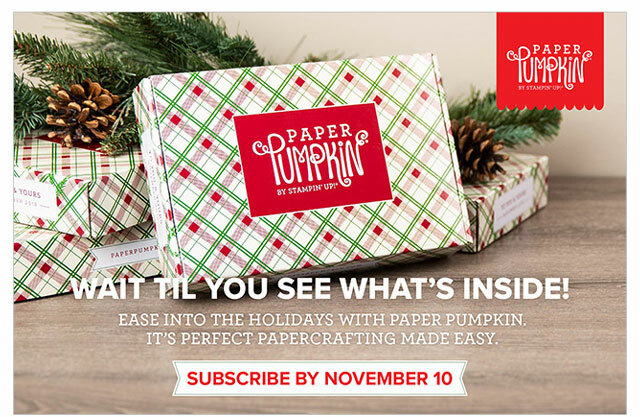 If you haven't already, it's time to get started on those Christmas and holiday cards! Whew, where did the year go? The Dashing Deer Bundle, found in the Holiday Catalog, is perfect for creating holiday or winter-themed projects. Projects using this bundle will be featured in my November newsletter which will hit e mail inboxes at 9:00 am (MST) on November 6, 2018. Get your own copy by adding your name to my mailing list by 8:00 am (MST) on November 6.